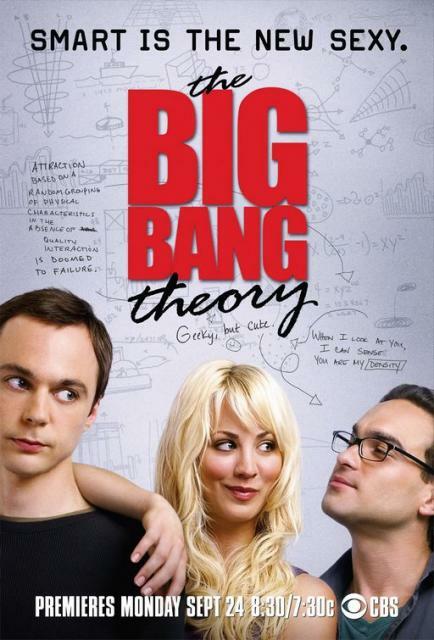 Big Bang Theory is one of the funniest comedy series that I’ve watched in a while. Just discovered it recently and they’re already on their third season. And as usual, I’ve been doing a viewing marathon with my hubby and SIL. We’ve just finished the second season and I’m on a hunt for the 3rd season. It’s so addictive! The series is about 4 nerdy friends and their one hot girl-next-door friend. Never realized that there can be many different type of nerds. There’s Raj – the girl-shy nerd; Howard – the ladies-man (in his head) nerd; Leonard – the self-aware nerd; and my fave… Sheldon – the OC nerd. These four + Penny (the cute neighbor) have so much chemistry and comedic timing, I can’t count how many lols I have per episode. Check it out and be hooked.